Séura announced a new product line during CEDIA Expo 2018 called the Shade Series Outdoor TVs, which features a full suite of sizes and a starting price point of $2,399. Séura, a manufacturer of designer technology, recently announced a new product line during CEDIA Expo 2018: The Séura Shade Series Outdoor TVs. Séura says the new Shade Series combines its characteristically elegant design with best-in-class picture quality, brightness, and audio performance. “Séura has been the technology and design leader in premium outdoor TVs for years. 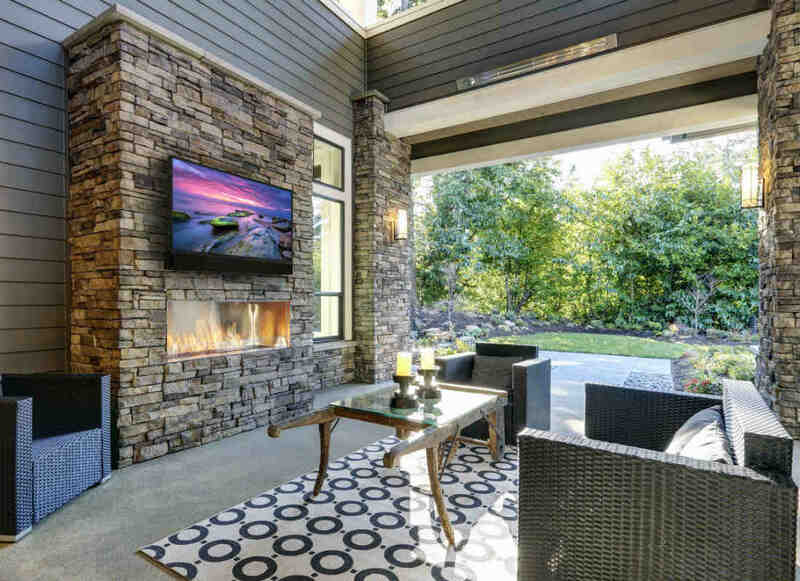 Our goal with this new line of TVs is to provide a better and more affordable entertainment solution for shaded outdoor living spaces,” says Gretchen Gilbertson, Séura co-founder and CEO. Séura will be offering a full suite of sizes for the Shade Series with 55-inch, 65-inch, and 75-inch models, with a starting price point of $2,399. The full line will be 4K UHD and offers HDR and 10-zone-dimming. 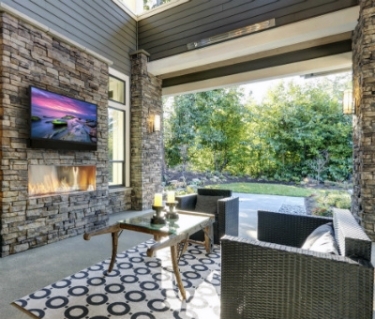 “Indoor TVs are a cheap alternative for outdoor spaces but are typically not certified for outdoor use and are poorly suited to withstanding outdoor conditions like heat, moisture, and humidity extremes. Using an indoor TV outside usually voids the warranty and delivers washed-out picture quality," says Gilbertson. "Current outdoor TVs made for shaded areas are sometimes not bright enough and lack good quality sound for larger outdoor spaces,” she continues. Séura says its Shade Series Outdoor TVs are 25 percent brighter than the competition with 2.5 times the audio output and twice the warranty. Additionally, the front facing 50-watt RMS 2-channel speaker system that comes standard on the Shade Series fills outdoor spaces with quality sound.